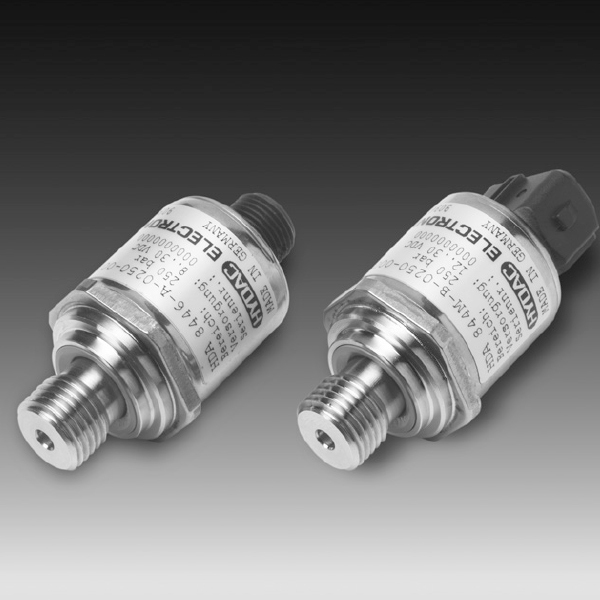 The pressure transmitter series HDA 8400 serves for the OEM market, e.g. in mobile applications. Like most of our pressure transmitter series, the base of the HDA 8400 is a robust and long-life, thin-film sensor. Moreover, all parts (sensor and pressure connection) which are in contact with the fluid are from stainless steel and are welded together. This means that there are no sealing points in the interior of the sensor (elimination of leakage). What’s more, the pressure transmitters are available in various pressure ranges from 0 .. 40 bar to 0 .. 600 bar. Also, the standard analogue output signals are available (e.g. 4 .. 20 mA, 0 .. 5 V, 1 .. 6 V or 0 .. 10 V) for integration into modern controls. On the other hand, ratiometric output signals are also available. Plus, different types of integrated connections are available for the electrical connection. In addition, a basic accuracy of max. ≤ ± 1 % FS, combined with a small temperature drift, ensures a broad range of applications for the HDA 8400.